We know that banana is a fruit that has all kind of useful nutrients for a human body. So, if we make a smoothie with this useful nutrients pack, it will be super healthy smoothie for our health. And chocolate will give an extra delicious taste which will make this smoothie memorable. Now we can say that Chocolate banana smoothie is chunky and smooth protein-packed Chocolate banana smoothie is filled with nutrients to provide you long-lasting power all day long. Don’t think this smoothie will need a huge amount of ingredients that you will not be able to collect? Don’t think this at all. Though it has many nutrients, it will not need many ingredients. All you need just Banana, Vanilla, Powder Chocolate, and ice. See just simple ingredients… So, why are you waiting for? 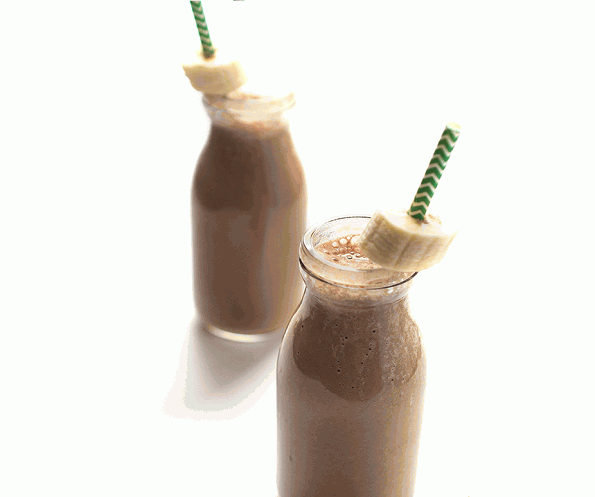 Collect them and have a great moment with this protein smoothie. Before adding all ingredients to blender cut into small parts of your banana. Then add all ingredients to blender. Now blend them for 5 minutes or until smooth. Serve Enjoy!